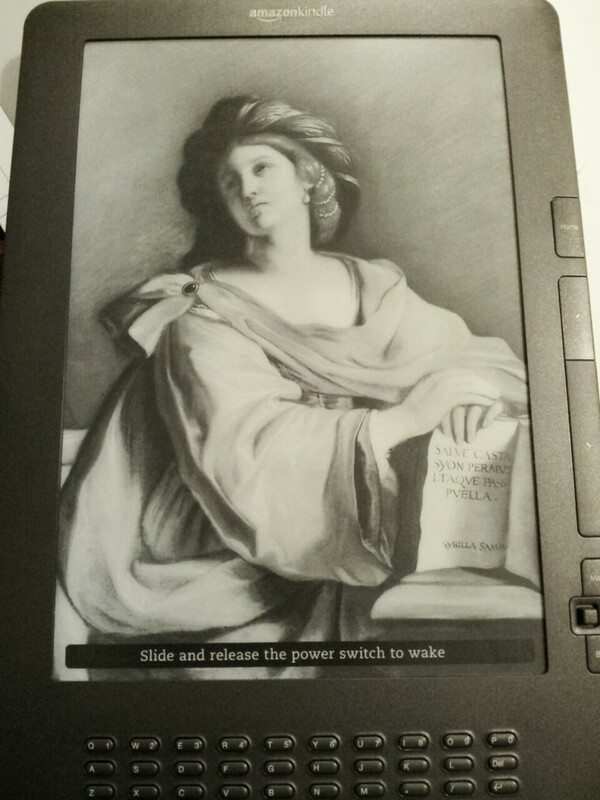 I very recently bought a kindle graphite dx. This is the newer version of the kindle dx that I had and it comes with free 3G, a usual 9.7 inch display but with the newer e-ink (pearl) display. The 3G really works and I can access a very basic web browser with it. Don't expect to do fantastic surfing with the browser because the refresh rate and loading speed, at least here in Singapore, is rather slow. I'm sure if I'm residing in US and with the whispernet available there, the surfing speed should be appreciably faster. Still, I'm happy with the basic free 3G services for stuff like looking up the kindle store, google stuff and checking wikipedia. That's a huge improvement because my older kindle dx does not have all these functions. 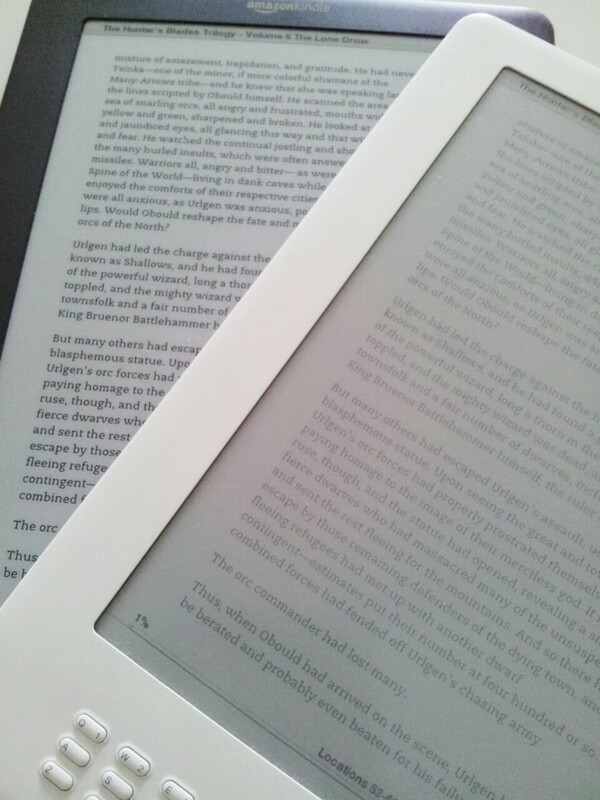 These are secondary improvements to me, because the main function of having a kindle dx is just to read. The rest of the features are good to have, but not essential ultimately. The best thing that I liked about this newer 'graphite' edition is that the contrast is much much better. I've had the older one for 2 yrs already and it's okay to read it with sufficient lighting. But once the lighting drops, you find that you have to squint to make out the words because the contrast isn't good enough. The newer one has purportedly 50% improvement in contrast compared to the old one. As you can see, even without words, the background of the new pearl e-ink technology shines through. 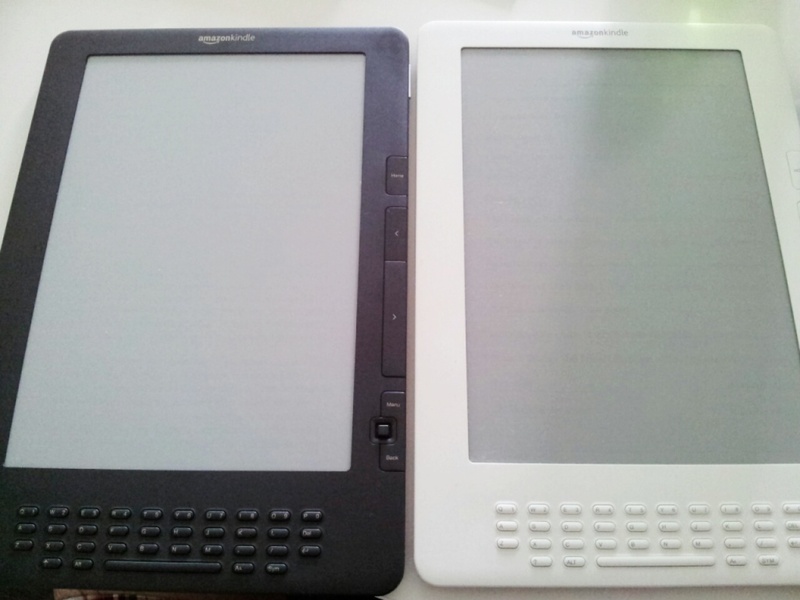 The older (white) kindle has a more grayish background compared to the graphite one. Reading pdf files on the new kindle is better than ever. When reading pdf files which I do very very often, the older version will experience a drop in contrast. Some pdf files are thus 'unreadable' because you really have to make out the darker gray words against the gray background. Not a very good reading experience at all. Two of them side by side. You can see the words jumping out of the background for the graphite edition, whereas for the older version, the words and background are sort of merged together. But the graphite edition makes the contrast so much sharper. I tried reading in a place with very poor lighting and I'm happy to say that it can still be done. Reading pdf files in the past will also experience a drop in the page turning rate, meaning that it will take a longer time to turn the pages. Amazon made tremendously improvements in this department. There is still a very short lag between pressing the 'turn' button and actually seeing the page flip, but it's tremendously shorter. It doesn't affect my reading experience, even with the older version, because you can get used to such things after a while. It's like just before reading the last few words, you start to press the button already, and when you actually finish reading the words, the page turns just in time for you to have uninterrupted reading. You know what I mean. Reading text files. Again, the words are clear and sharp for the graphite edition. This is not to say that the older version is not readable...it's just that you need better lighting to do it. Nothing much is changed when reading mobi or amz format. The text size changes seems faster than the older version, but you don't usually change text size on the go, so it's not going to affect much. Comics look great on kindle dx. The large screens size means more can be packed in one page without sacrificing readability. Try reading comics in a small screen and you get what I mean. 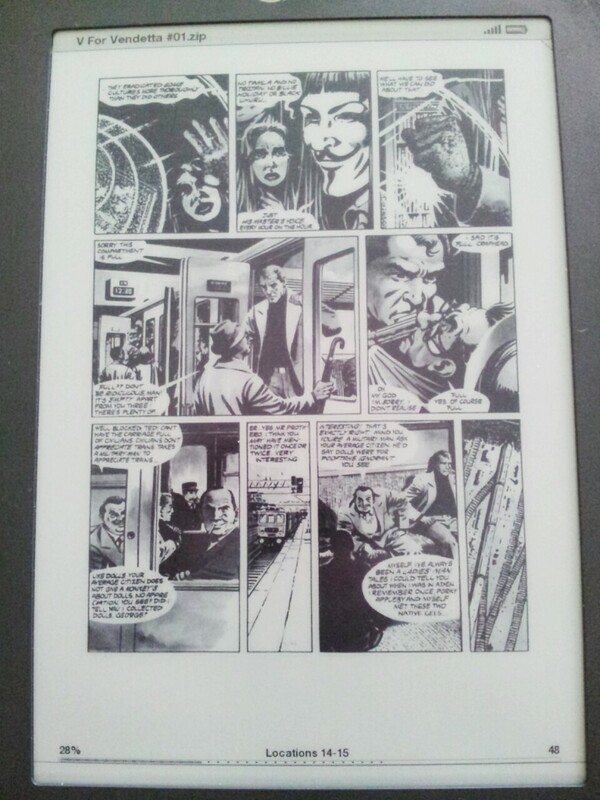 Due to the improved contrast, I think I can start reading more comics on the kindle. I didn't do it in the past because the words can barely be read using the older kindle. I'm actually looking forward to this! A real work of art. The screensaver when you're not reading literally tempts you to unlock it and start using it. I bought this for $370 from a kind gentlemen. He found the kindle dx with the big screen too huge to carry around, so he got himself a smaller one. I'm unlikely to carry this around with me and it's meant for reading when I'm not travelling, so the size is okay with me. It comes with nearly 1 yr of warranty so I practically got a new set with a huge discount. 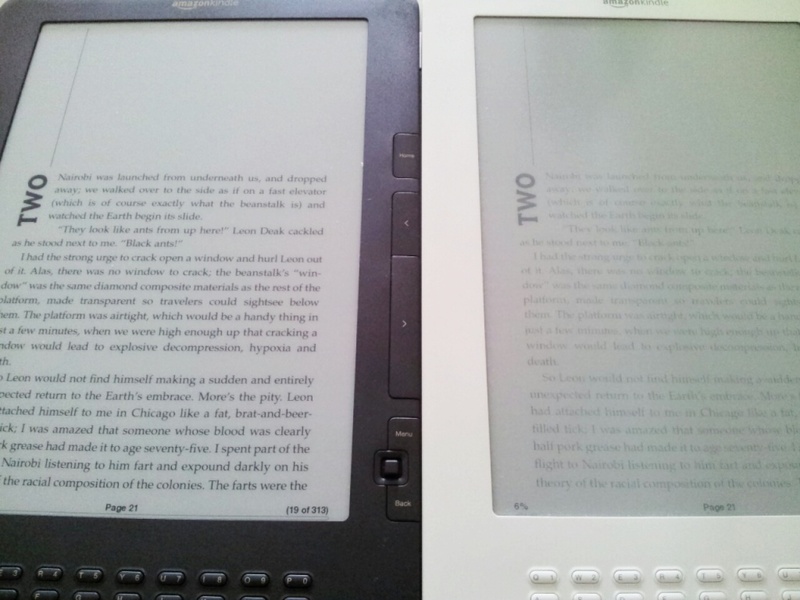 For readers who want to see what I had blogged about for the older kindle, do check this out. Kindle DX new one sounds good. Price is a bit high compared to entry level kindles.